Spread across one of the geographically largest and fastest-growing cities in BC, Surrey Schools is the city’s largest employer and the province’s largest school district. Surrey schools provides many opportunities for employment and career growth as a large district with growing enrollment. Look no further for your dream job! 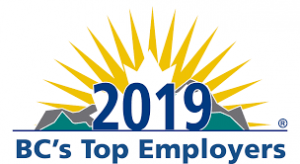 Recently voted one of BC’s Top Employers in 2019 (Mediacorp Canada, Inc.), an annual competition that recognizes employers that “lead their industries in offering exceptional places to work” in BC, Surrey schools values and respects their employees and strives to welcome and inspire in their workplaces. Surrey is home to high-density urban areas, seaside communities, farmland and a wide range of suburban neighbourhoods. You can spend your weekends strolling along the quiet beaches in South Surrey, shopping at Guildford Town Centre or exploring nature – we have it all! Surrey also offers affordable housing, an abundance of amenities and recreational facilities. Over the next 30 years, the city’s population is projected to increase by over 300,000 people. Surrey Schools will be in Toronto on April 26th at the Ed Talent Job Fair looking for teachers – now is your chance to be part of a growing district and a thriving community. They are currently hiring in all teaching disciplines; however, there is a focus on those difficult to fill positions including French Immersion, Special Education and Music. If you would like more information on Surrey School District or job opportunities, please contact Devon Frame, devonf@makeafuture.ca.